Home / News / Coinadrink / 1962? I Remember You! 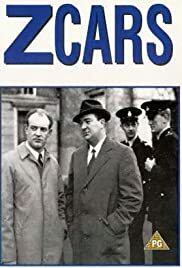 At work, we were all talking about a brand new TV programme called Z Cars. Later in the year, the BBC gave us ‘Steptoe and Son’ for the first time, and ‘That Was The Week That Was, or ‘TW3’ for short, for the last time. The most popular names for new-borns were David and Susan! I wonder how many ‘Davids’ and ‘Susans’ will be registered this year? I’ve never been a superstitious man and I didn’t know it then, but on the very day we opened our doors eight of the nine planets were aligned, for first time in 400 years. I’m not sure what to make of that fact! So much has changed – but quality never goes out of style… Her Majesty The Queen still reigns over us, Levi’s were the nation’s favourite blue jeans in 1962 and they still are; The Rolling Stones got together in 1962 and they’re still going strong. What’s more, at Coinadrink, our commitment to customer service is at the heart of our business now, just as it was back then; and the same man is at the helm. Facilities Management 2017. Will We See You ? From Completed Surveys, Acorns Grows!